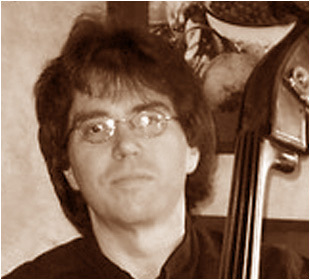 Bassist Phil Ravita works in the Mid-Atlantic region as a free-lance musician and fronts his own jazz group. He is a member of The Baltimore and New York Musician's Unions, Baltimore Music Club, The Baltimore Composer’s Forum, and the Baltimore Jazz Alliance. Phil plays various styles of music in small and large ensembles. He has performed in orchestras as principal bassist, big bands, musical theatre and for the Maryland Arts Festival. He has shared the concert stage with guest artists who include Claudio Roditi and Gabrielle Goodman, Diane Hoffman, Joyce Scott, Charlene Cochran, Ruby Glover Scott Wenholdt and Steve Wilson. He played an after show reception for Wayne Shorter and John Patitucci and has performed at Mid-Atlantic College Jazz Orchestra and at the Annual Calvin Jones Big Band Jazz Festival. His efforts include performances at Artscape, a benefit performance with the touring company of "Grease," the East Coast Jazz Festival, Lexington Market and Night of 100 Elvis’s. In 2006, The Phil Ravita Jazz Group performed at Lexington Market and was favorably reviewed by the Baltimore Jazz Alliance in their monthly newsletter. Mr. Ravita's composition “Hard at Work” was featured at the 2006 showcase sponsored by the Baltimore Jazz Alliance in conjunction with the Baltimore Composer’s Forum. In 2007, two of Mr. Ravita’s compositions, “In the Back Door” and “Blue Sunshine" received Honorable Mention in the 14th Annual Billboard International Song Contest. Mr. Ravita’s composition “AHAMAY” was chosen for inclusion on the Baltimore Jazz Alliance’s first compilation CD, "Jazzscapes." His composition, "A Kiss Goodbye," was chosen for the latest compilation CD, "Jazzscapes II", released in 2009. Several of his Blues compositions have received airplay on the Dr. Lou Radio Show on WNJC 1360 AM in Philadelphia. His compositions are also featured on the following Internet Radio Broadcasts: Umbrella Radio Broadcast, Well Rounded Radio, The Song Writers Network and The Horizon Network. His jazz suite "Messages" was performed as a part of the 2008 Ars Nova concert series sponsored by the Goucher College Music Department and the Baltimore Composers Forum. Other compositions by Mr. Ravita have been published in the Baltimore Real Book. That same year, his jazz group was selected as a finalist in the Inaugural Chick Webb Jazz Combo competition at Artscape. In 2009, Mr. Ravita performed a concert of his original and works by other jazz musicians that was sponsored by the Baltimore Composers Forum in conjunction with the Baltimore Music Club. The same group performed at the Fletcher School of Music later in 2009. In 2010, he performed a concert of original local music that was held at An Die Musik in Baltimore, Maryland. Mr. Ravita performed some of his works as a part of the Subtle Sessions Concert Series sponsored by the Baltimore Jazz Alliance.